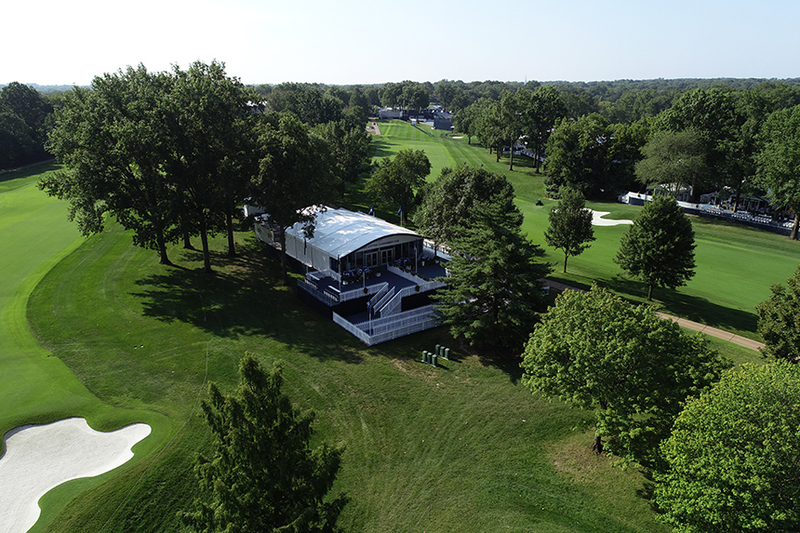 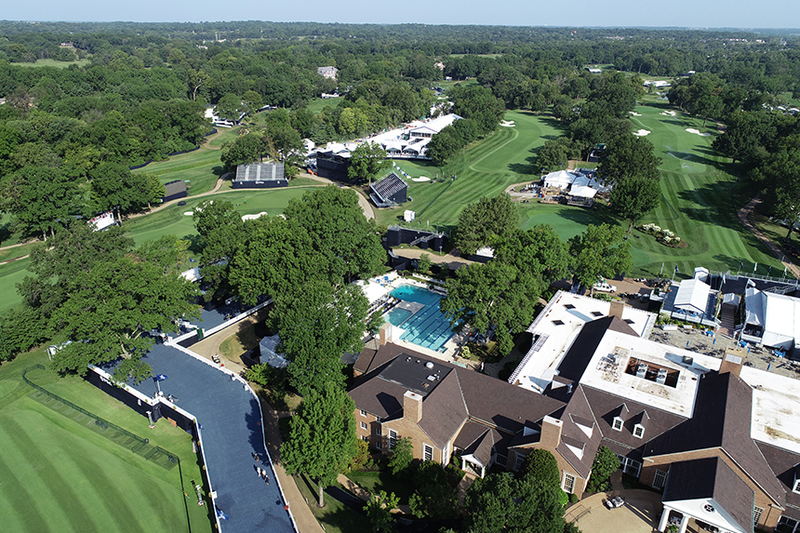 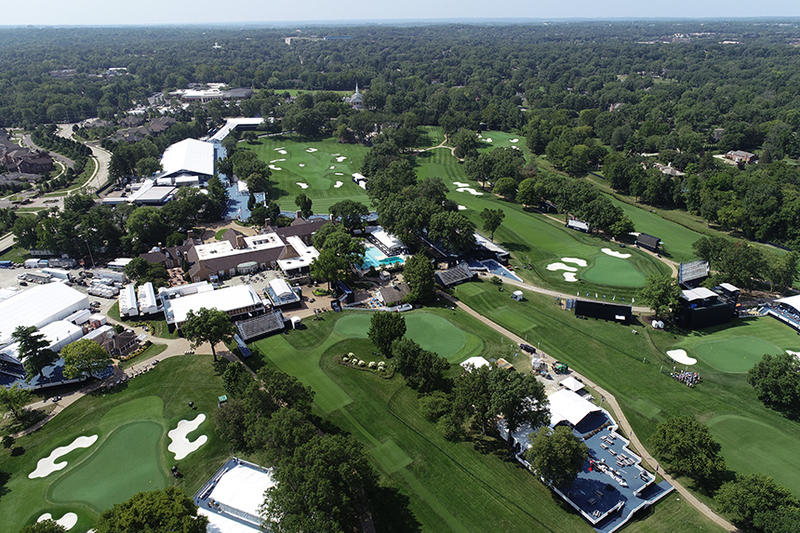 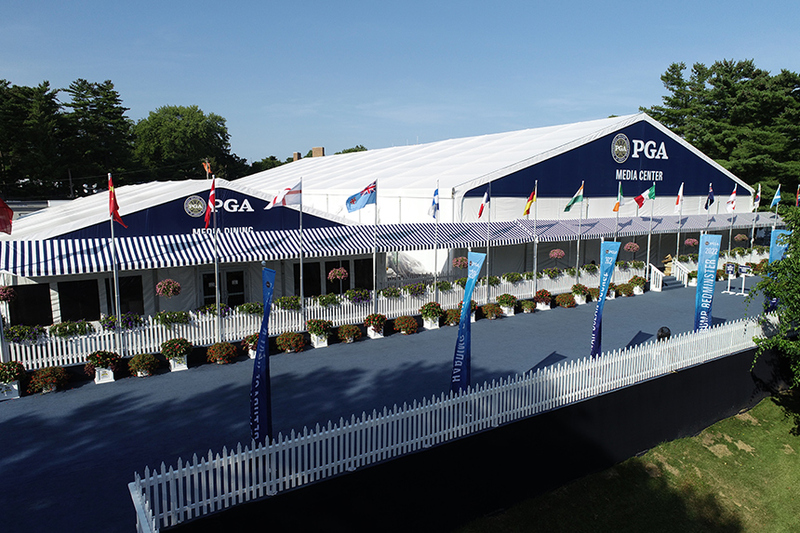 August 2018, the 100th PGA Championship took place at the beautiful Bellerive Country Club in St. Louis, MO. 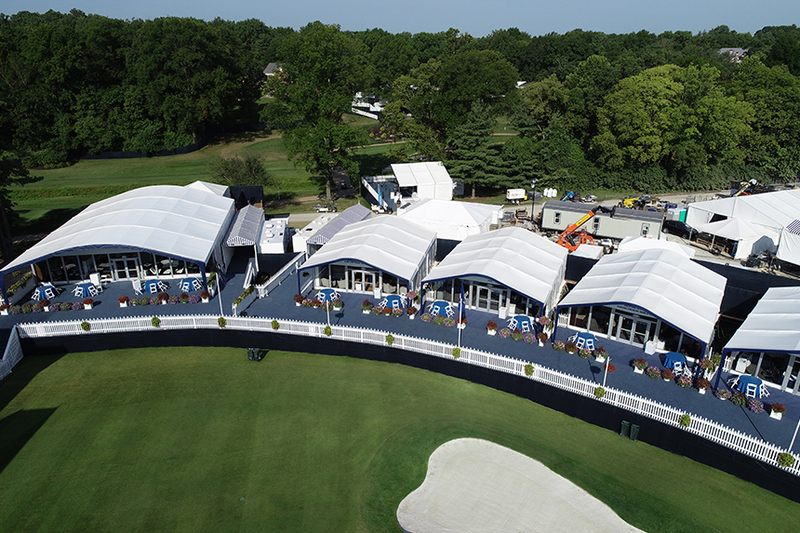 Arena Americas supported the week-long event with structures and flooring. 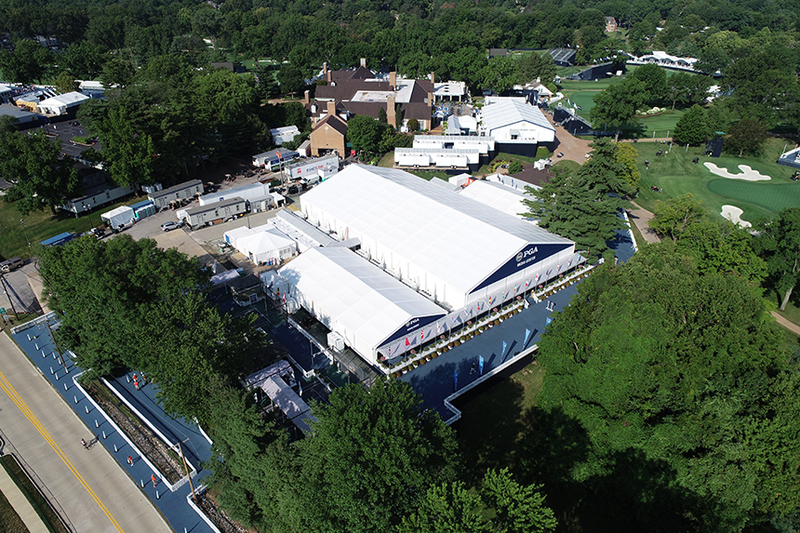 Arena Americas installed 235 tents for the event, totaling 320,000 square feet of temporary event space. 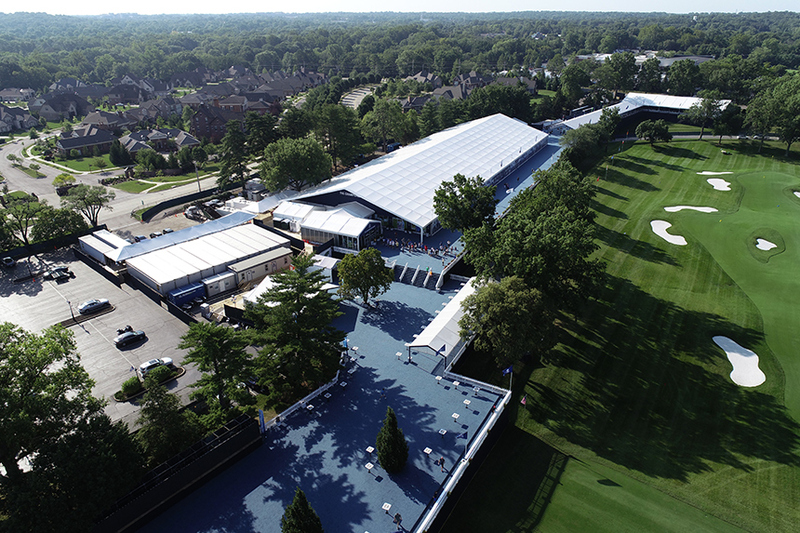 More than 625,000 square feet of level elevated flooring and 530,000 square feet of carpeting were installed including the longest elevated walkway ever built by Arena Americas at 1,725’ long, 10’-20’ high and 30’-100’ wide. 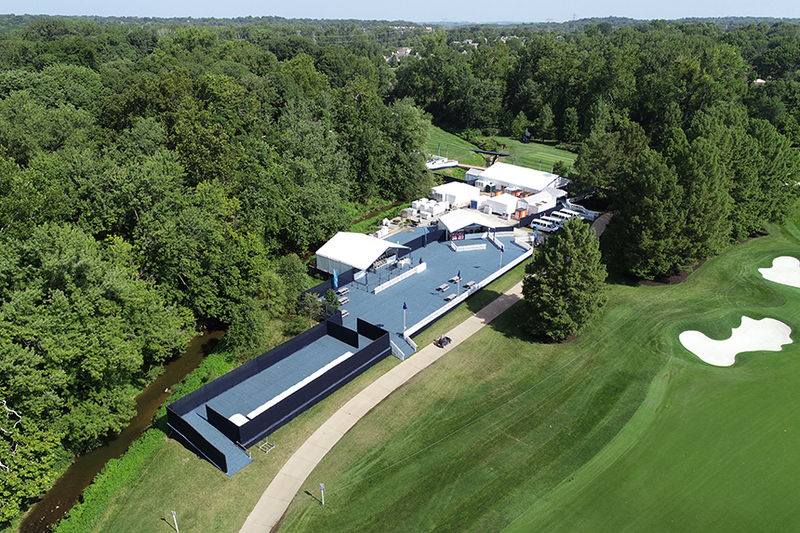 Upwards of 80 crew members and 220 truckloads of equipment were required to complete the project. 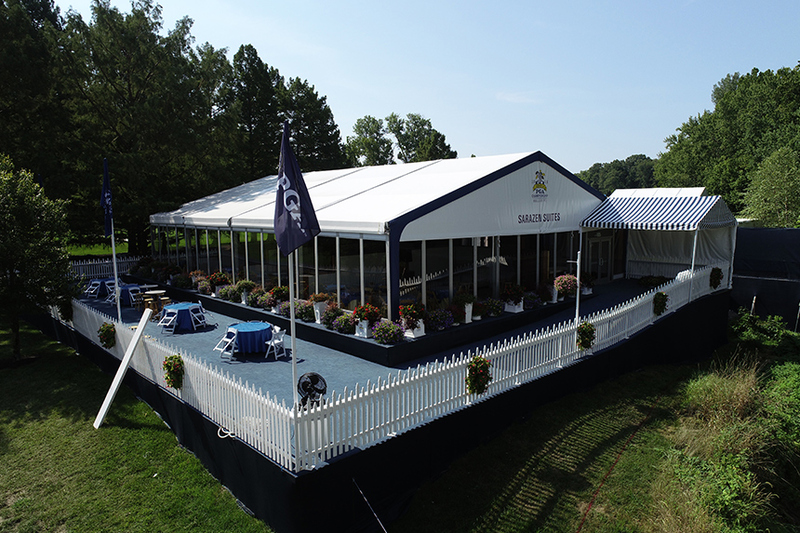 The facilities were used for corporate hospitality, merchandise, sponsor and media facilities, concessions, admission, and security areas. 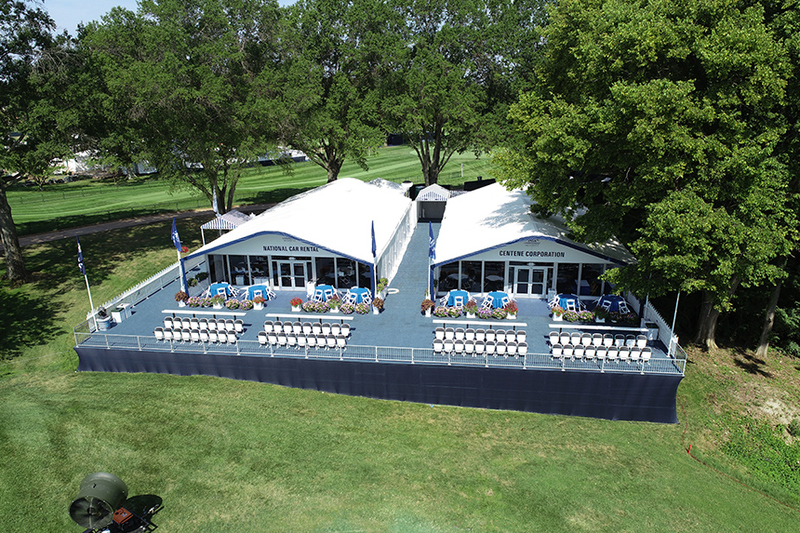 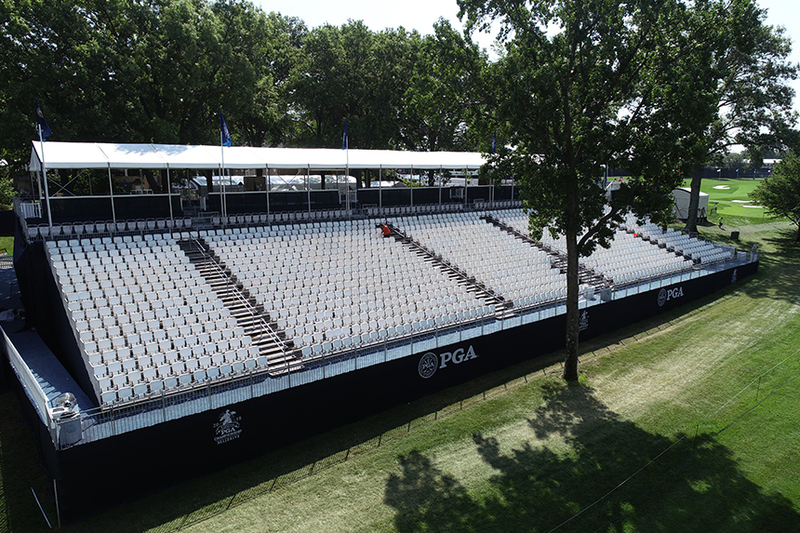 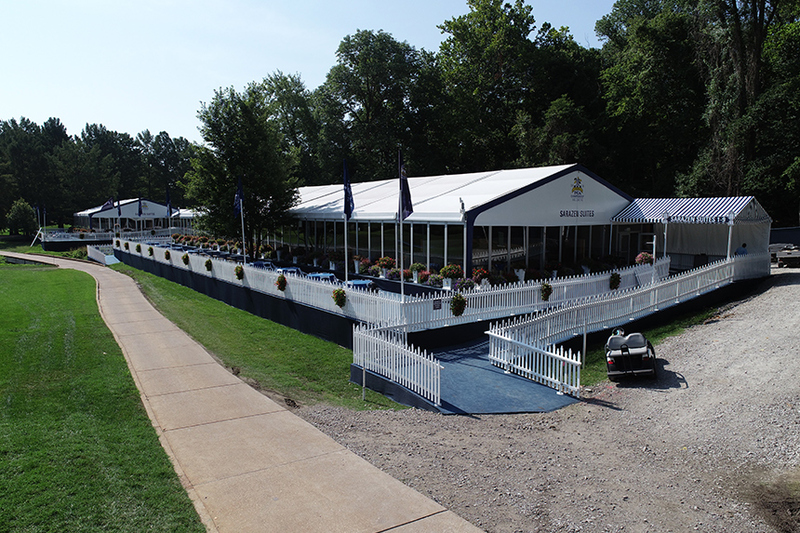 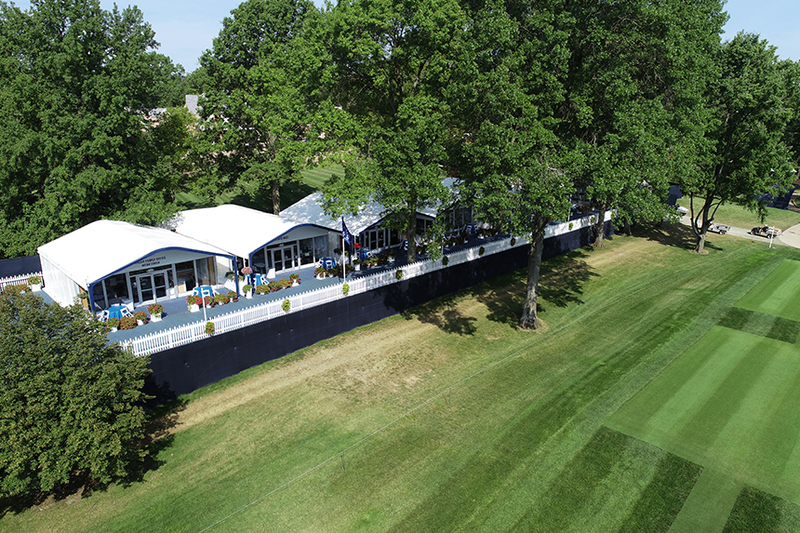 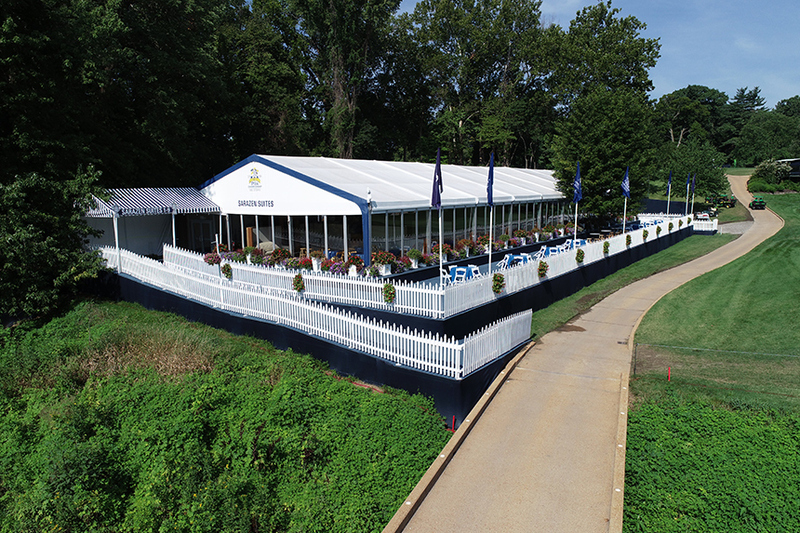 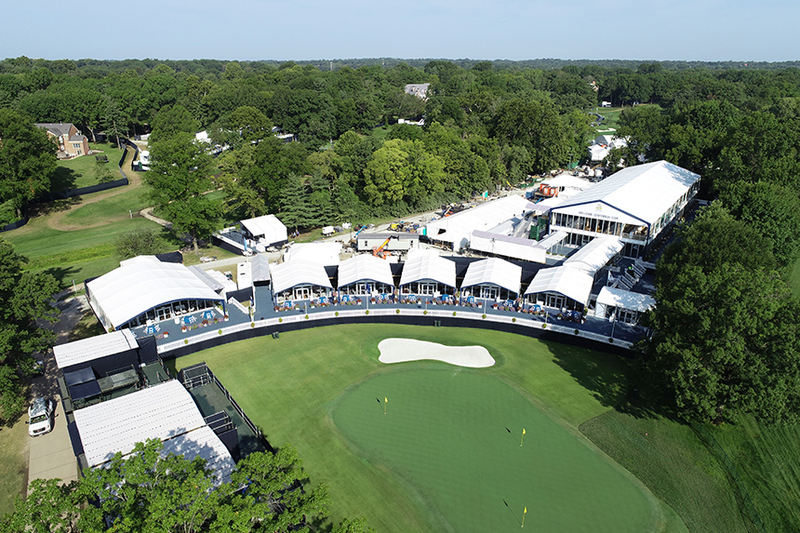 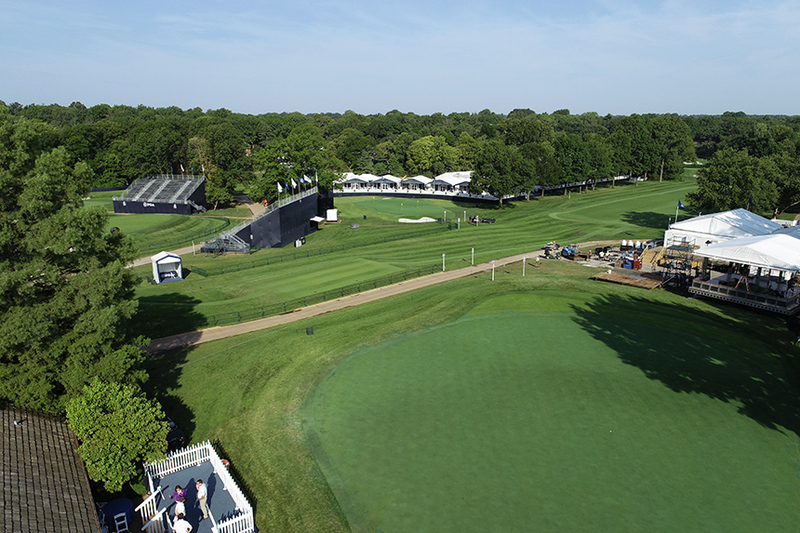 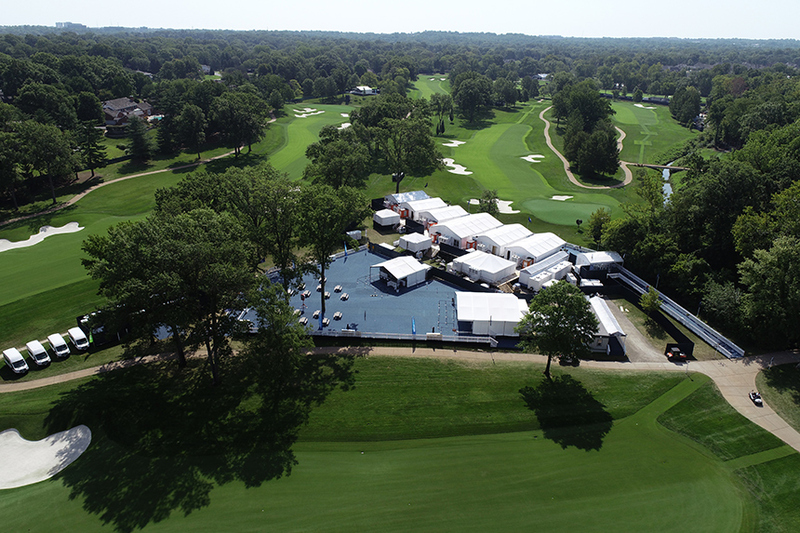 Arena Americas recently signed a 7-year agreement with the PGA to provide seating and bleachers in addition to tenting and flooring services for the PGA Championship, KitchenAid Senior PGA Championship and KPMG Women’s PGA Championship, including the 2020 Ryder Cup at Whistling Straits in Kohler, WI, and the 2024 Ryder Cup at Bethpage State Park in Farmingdale, NY.